CLOSED - winner to be announced on Wednesday 12/12/12! I promised on Facebook that once I reached 1000 followers, I would have a competition so how perfect that it's happened just in time for Christmas! This bag is just perfect for going out with the gold zip and chain detail. 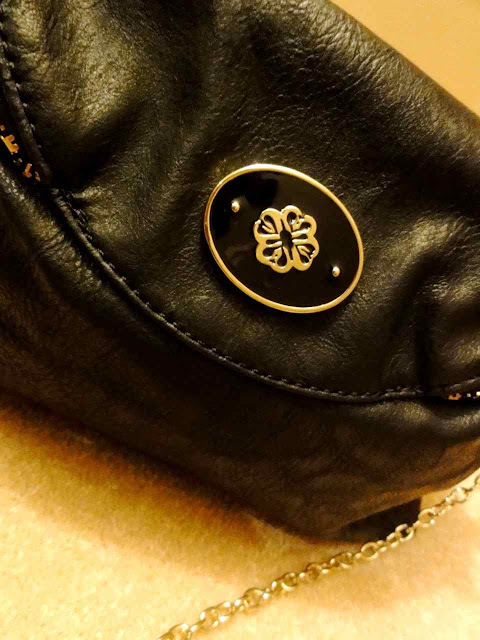 The zip goes right around the bag, allowing it to open up fully for easy lipstick finding. Lined in purple, it's got a Misha Barton badge on the back.. Retailing at just over £40, it would make a great Christmas present or you could simply treat yourself. 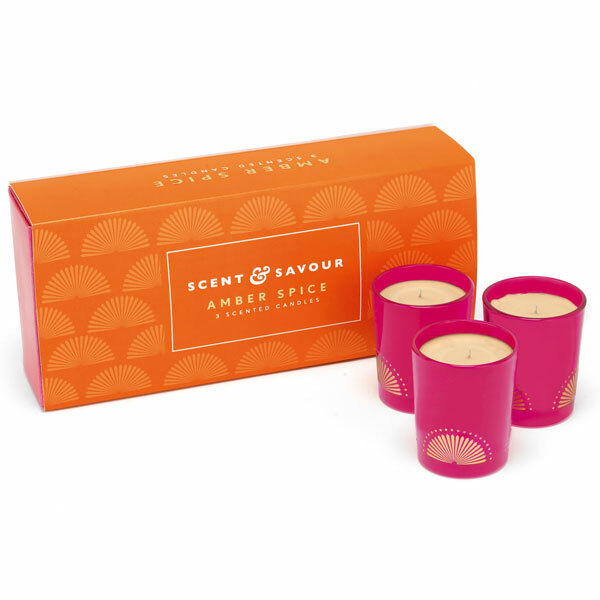 But that's not all, I'm also giving away three gorgeous Jamie at Home Amber Spiced candles courtesy of Anne Murray, my local Jamie at Home consultant extraordinaire. These candles are perfect for Christmas with their blend of clove-studded orange, cinnamon bark, warm cedar wood and vanilla sugar. Don't they sound gorgeous? They are available to buy on this link. and leave a comment on this blog post telling me what's top of your Christmas list this year! The competition closes at 10pm on Tuesday next, the 11th December and the winner will be chosen at random and announced on Wednesday. Open to all my followers worldwide so get entering now and if you share on Facebook and/or Tweet, you'll get an extra entry! A new hair do and a pair of grey suede boots! I love a giveaway this fantastic. I asked my son to ask Santa for a Chanel Handbag. I hope Santa is listening. Done - absolutely fantastic prizes Avril!! Actually couldn't pick between them! Lancôme visionairre. Sad but true. Top of my wish list? Hard to choose .. some Ash Genial Wedges .. Jo Malone Bay & Blackberry perfume .. grey batwing jacket from Cos - the list is endless really!! Great prizes and congrats on reaching the 1000! Top of my Christmas list, as ever, is George Clooney! Having trouble thinking of anything I would like for Christmas but a Bare Minerals make up collection would be lovely. Top of my Christmas wish list is time off work and spending it with my friends and family. Great prizes. Not sure that I have one particular thing that is on the top of my list but i have asked for Cheryl Cole's autobiography which I am looking forward to reading. Top of my list - 2 new chairs for the living room (footstool and bookcase can wait till next year! would love some jo malone perfume and to be able to sit with my feet up and enjoy this christmas with my family - was with DS in hospital last boxing day for two days and we never really had christmas. Top of my wish list is under eye concealer or sleep! 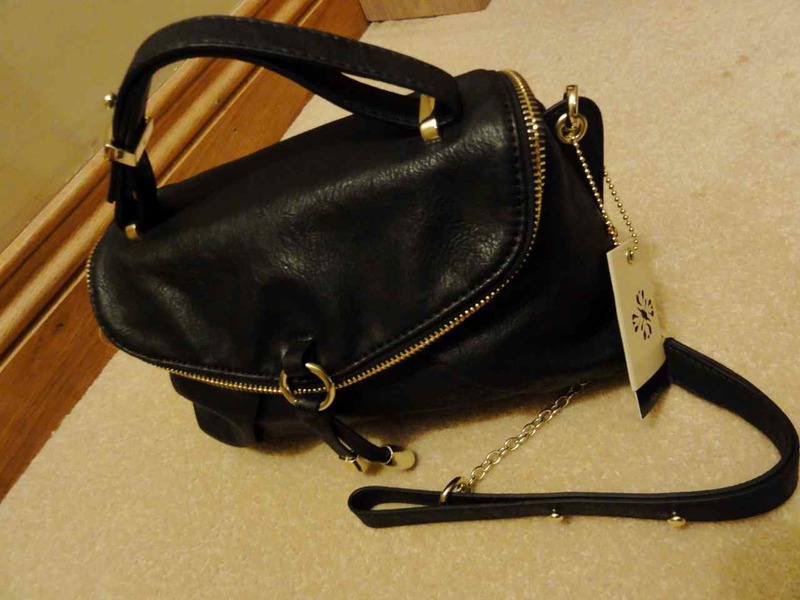 Really though, a lush bag! With a birthday the week before Christmas I have given a list to the family for them to choose from featuring new Benetint and Hi Beam from Benefit, the new Lancome perfume 'La Vie est Belle',a beautiful retro style Kenwood mixer, slippers and new jammies of course. Now I don't expect to receive everything but a girl can dream ... ! The Rissian doll Pandora charm please! Ooh, I'd love a new phone. In desperate need of one as half the buttons don't work! Love your blogs Avril but unfortunately I can only dream of squeezing into the lovely clothes and footwear you recommend :(. Top of my Christmas list is for all fashion footwear companies to increase their top size by just one teeny weeny size for our ever increasing (height) ladies. Failing that, the handbag I need (not just want!) which has been relentlessly unsubtly waved under Himself's nose. OR the usual gorgeous Rituals gift set from said husband will be lovely (they wrap it nicely - his idea of the perfect gift!). Oh and forgot to say a Chanel 2.55 although we both know, it ain't happening! I've been hinting to hubby for some Jo Malone perfume and a pregnancy massage - at 6 month's pregnant, the aches and pains are starting to kick in! Top of my Christmas list would be... a leather satchel in a really pretty colour. Lovely competition, fingers crossed! Love the bag and the candles! This Christmas I am wishing for more time. When I have more time... I will use it wisely for a shopping trip to indulge and treat myself using the lovely wad of money I am hoping my lovely Dh gives me in my Christmas stocking;)Thanks or the giveaway, you can never have enough handbags! Top of my christmas list is that handbag, need a new one and it looks just beautiful! Top of my list is a silver Tiffany bead bracelet with Return to Tiffany heart tag......love, love, love it but husband is doing his best to ignore my hints - leaving the catalogue open at the right page with item circled, leaving iPad open on the Tiffany website etc. We'll see!! top of my list is a weekend away in a fabulous hotel to be pampered, SLEEP, drink fancy cocktails and SLEEP! can you tell I have two small children, one of which is 20 months old and has still NEVER slept through the night?! Merry Christmas everyone! and spending much needed girlie time together! Vouchers for a fab hotel. My friend and I get vouchers every year from our husbands and then we treat ourselves to a child-free break later in the year! Top of my list a pair of warm black boots that fir around my tree trunk lower legs!